Objective: Determine the amount of water loss due the transpiration. Problem: What properties affect the amount of transpiration that occur in leaves? 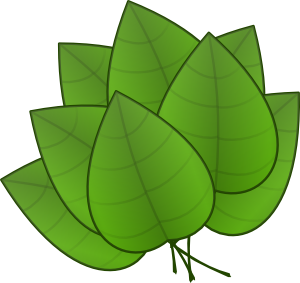 Properties you can analyze include: surface area of leaf, exposure to light, and species of tree. 2. Place leaves in a beaker with water so that their petioles are submerged. In order to get enough water loss to observe and record, you will need to place multiple leaves in the beaker. 4. After 48 hours, remove leaves carefully and measure the amount of water left in the beaker, be careful not to include the oil in the measurement. 1. As a group, determine how you will analyze each of the properties. The investigation should be comprehensive and address as many properties as possible. Your goal is to determine which factors affect transpiration. 2. Record your hypothesis and methods you will use to solve the problem. In your lab report, you will include this under the "materials and methods" section. 4. Record and analyze data. See Lab Report Template for guidelines on writing a lab report.